As you know we love trying out new products. 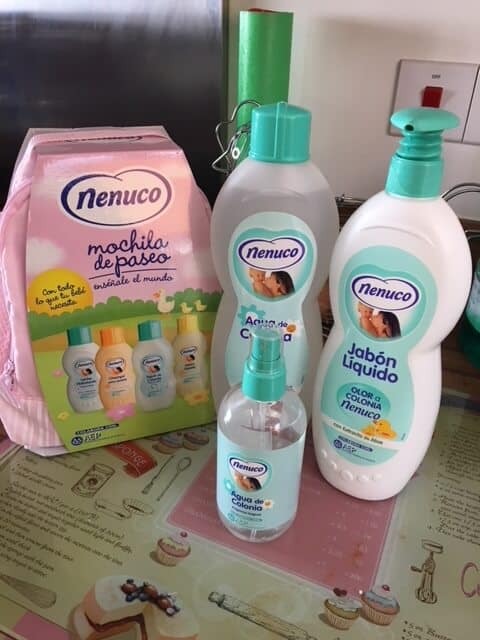 Well the past few weeks we have been testing out this great range of Spanish cleaning products UK – Nenuco baby, household and cleaning products from stockists Lemon Fresh UK. 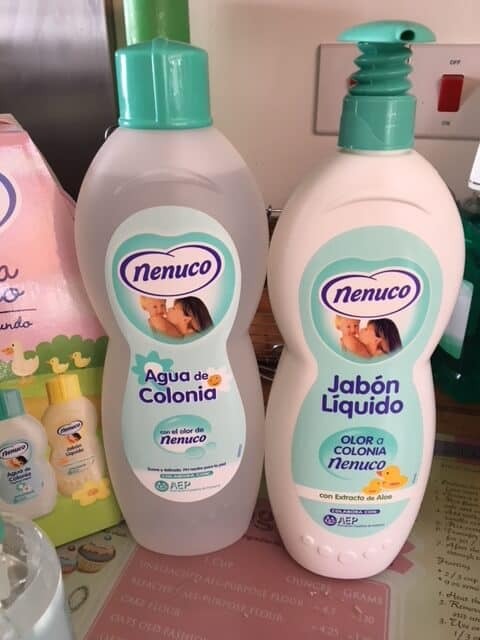 Nenuco are a popular brand in Spain and are known for their gorgeous lemon and fresh smelling products. I can totally see why now! Lemon Fresh UK pride themselves on providing outstanding genuine Nenuco products, (it’s a popular brand so there are fake products around!) very keen and competitive pricing and of course the highest levels of customer service. They will deliver to anywhere in the UK and if you order before 12 noon Monday-Friday they will dispatch to you the same day. That’s some very speedy delivery! The Pink Nenuco Backpack Gift Set is adorable. 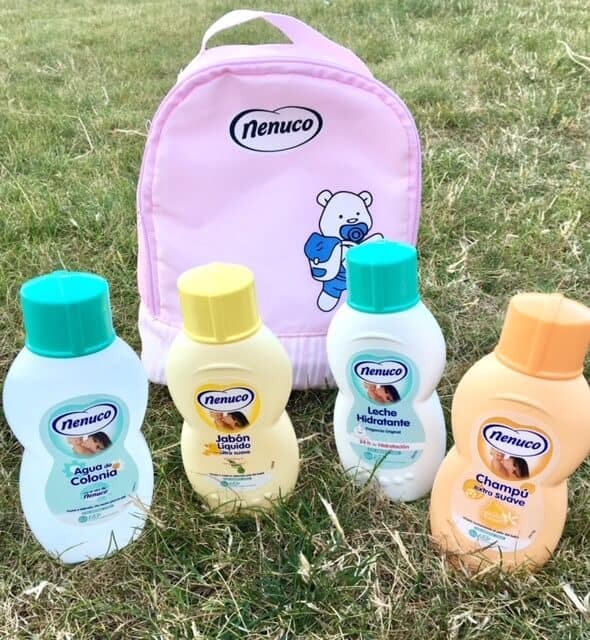 Contained in the backpack are 200ml Nenuco Shampoo, 200ml Nenuco Moisturiser, 200ml Nenuco Bath and 200ml Nenuco Cologne. It would make a lovely gift or ideal for travelling or just out and about. I will be taking it on holiday with us in September for the girls. Available in a blue bag as well. There are two products in this lovely bundle which deserve a special recommendation. 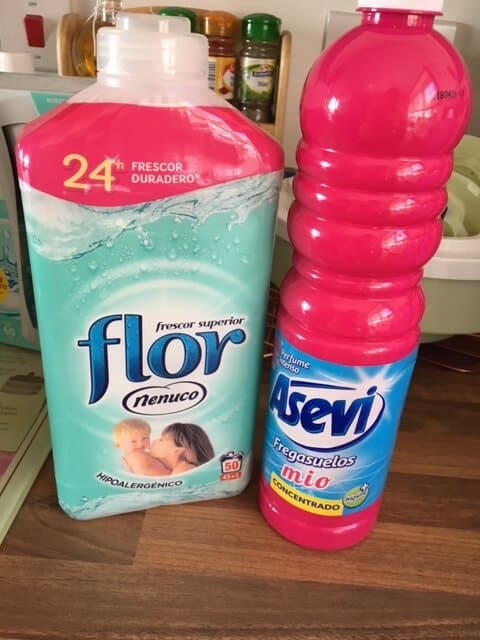 They are the Nenuco Agua de Colonia and the Asevi floor cleaner which I will get onto later. Well the Nenuco Agua de Colonia (cologne) is a beautiful lemony, yet fresh smell. It is tested and recommended by the Spanish Institute of Paediatricians, and the cologne is suitable for persons of all ages with sensitive skin. I just love splashing it on myself, especially in this hot weather we have at the moment. The cologne is very popular with mums in Spain as a “splash” for their babies and I can see why. Apparently there are many other uses for the cologne as well. You could add it to your ironing water, use it in the spray bottle form for a quick refresh inside your shoes and trainers, or even add a few drops to revitalise cut flowers. But my favourite use is to deter nits because of the lemony smell. For my own hack I’ve been spraying it around the kitchen and living room to deter flies. It’s extremely warm so with the windows and doors open the flies have been coming in. I can recommend that they do not like it! Nenuco Jabon Liquido (bath soap) is a lovely soap infused with the lemony Nenuco fragrance. I’ve been using it in the shower with myself and the toddler. It’s great on the skin and leaves it smelling lemon fresh! A great big bottle with a pump top makes it easy to dispense with wet hands. I’m sure it will last us a while. 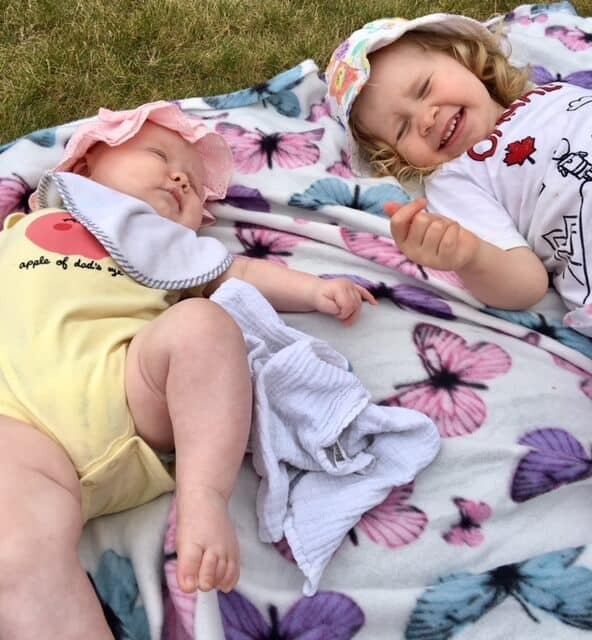 Now I’ve told you our thoughts on the baby products, it’s time to discuss the household items. 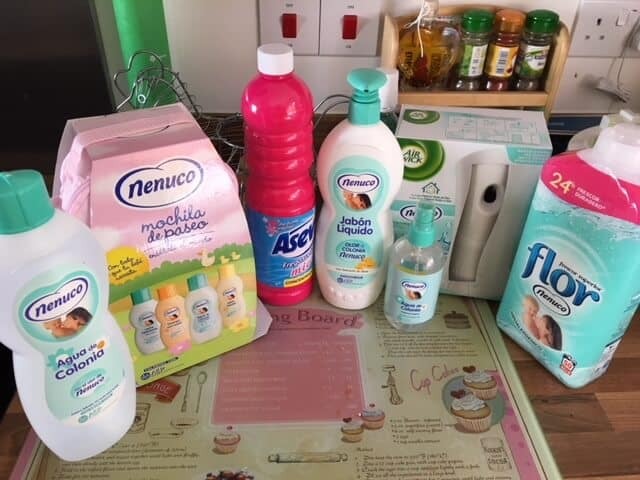 Firstly Nenuco Flor Fabric Conditioner. It serves around 45-50 washes per bottle which is good for a family of four. It comes in a 1.1 litre bottles and is hypo-allergenic. The fabric conditioner is infused with the unique lemony scent of Nenuco and suitable for people with sensitive skin. I’ve been popping it in with both the baby and toddler clothes and also the adults. It leaves the clothes soft and smelling super lemony. Lastly onto the floor cleaner – the Asevi pink is a concentrated floor cleaner suitable to adding to water in your mop bucket. The fragrance is wonderful and will leave your floors sparkling and fresh. As it’s concentrated the bottle will last for ages. It’s my second favourite product after the cologne. It leaves a clean smell throughout the whole kitchen. I now need to try it on the bathroom floors. I have really loved all of these fantastic products sent to us. The only criticism I have is that there are no English words or instructions in English on the bottles. I know this is because they have come straight from Spain, but as a non-Spanish reader/speaker they were hard to decipher without popping over to the Lemon Fresh UK website. I want to say a thanks to Lemon Fresh UK for giving us the chance to test out these brilliant authentic Spanish cleaning products. Don’t forget if you wish to try out these products head over to Lemon Fresh UK. You can find my other product reviews here. *We were sent these Spanish Cleaning products in exchange for this post, all thoughts and opinions are my own. 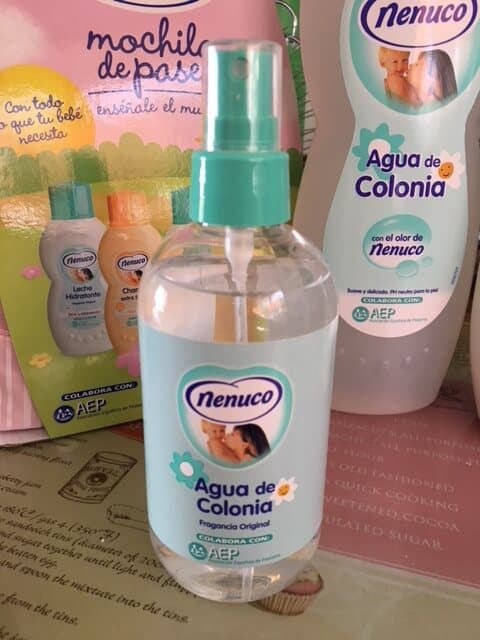 I am so glad I read this blog: when I visited my cousin in Spain, she made us all wear the Nenuco cologne as she said is was what all the locals used to keep mosquitos away. It’s works wonderfully and, unlike most insect repellants, it smells absolutely lovely- fresh and cool! We get a lot of mosquitos/midges in the Uk now therefore I was wishing I could obtain the Nenuco cologne here – and now you’ve told me they do! Thanks so much!